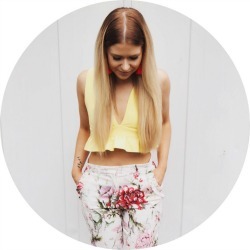 Without a doubt, my base is the most important part of my makeup routine, and I’ve long been on the hunt for the best full coverage foundation out there (who are these women who can get away with sheer coverage? Who?!) After years of never really being satisfied with drugstore foundations, I became a convert to high-end foundations last year once I tried Lancome’s Teint Idole Ultra 24H Foundation. I’ve repurchased it about three times, but recently I found myself becoming a bit fed up with it (maybe I was just sick of looking at the ridiculously long name every day), so I went in search of another one to try. 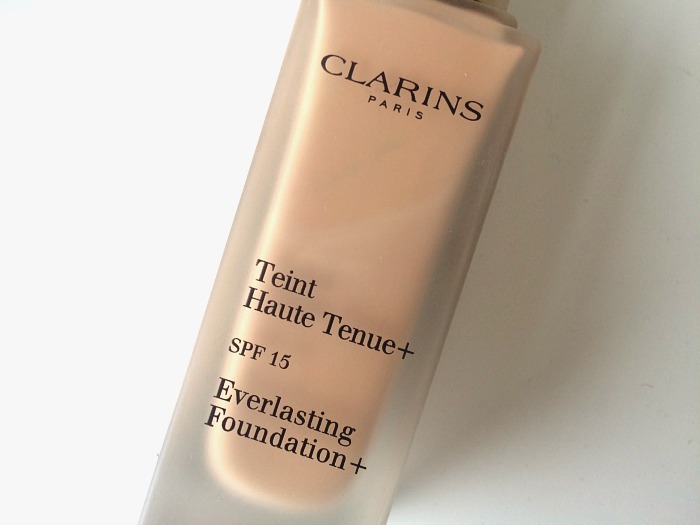 I knew I wanted something from Clarins because they’re basically my favey brand at the moment, and after a bit of internet searching I decided that the full coverage Everlasting Foundation would be the best for me. I pottered off to Debenhams and got matched by the woman at the counter there. I started off by showing her my Lancome shade and explaining that I thought it was a tad too dark for me, but then continued to insist she give me a shade darker than the first recommendation because “I’m usually more tanned than this” (what am I like eh). We settled on the shade Wheat, and I skipped all the way home. Let’s get the basic facts out of the way first. Clarins Everlasting Foundation is described as a medium-full coverage foundation, with a matte finish and an SPF of 15. Usually I tend to avoid foundations with SPF because this is apparently what makes your face look lighter if you have a photo taken with a flash on a night out (and I’m shallow and seemingly put the needs of my Twitter profile picture ahead of the needs of my skin). However, I decided to make an exception for Clarins, and if the sun ever does rear it’s head in gloomy England then I’m sure I’ll be grateful of this added protection. Everlasting Foundation also promises to be non-transferable and is supposed to last for up to 15 hours. Packaging-wise, it feels super luxe with the heavy, frosted glass bottle, gold lid and matte-finish pump. On a purely superficial level, I also like the fact that the lid matched my Clarins Be Long mascara perfectly. Coordinated makeup bags are the one, my friends. Now for my verdict. Well, if the title of this post didn’t give it away, then I ABSOLUTELY LOVE IT. It is, hands down, the best full coverage foundation that I have used. I only need to apply one layer for it to cover absolutely everything, which is a miracle when you consider that for the past couple of months I’ve had quite bad dry skin around my eyes, that has left them red and sore-looking in the mornings. This not only masks all blemishes straight away, but also takes care of this problem with ease. If you have uneven skin tone or rosacea then I could imagine this working for you (though you would probably have to check out the ingredients and so on). Since using it, I’ve barely had to use any concealer, except to brighten up my under-eye area and to slightly remove the ‘mask-like’ appearance that it can create. I’ve also been impressed that it hasn’t broke me out at all. 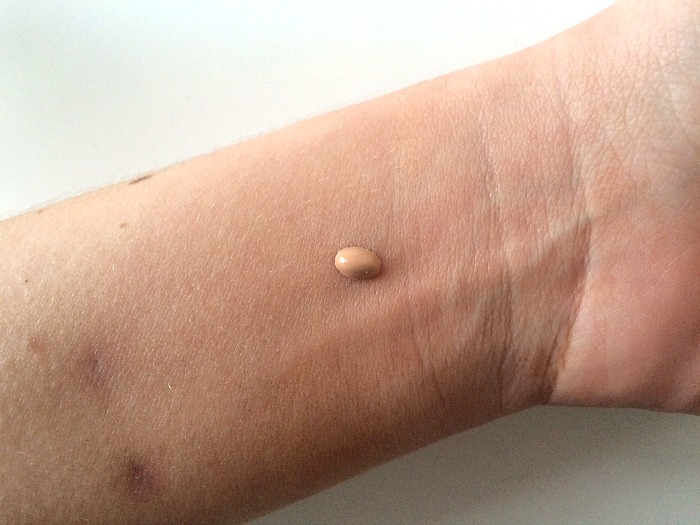 When I first tried the Lancome one it did this, as I heard that high-end foundations often do, and I had to wait a couple of weeks for my skin to get used to the formula. I’ve had no such problems with the Clarins Everlasting Foundation though. The lasting power is also excellent. I sometimes forget to apply a primer because I’m a bit of a div, and even on those days I find that this lasts amazingly. Of course, this foundation won’t be for everyone. 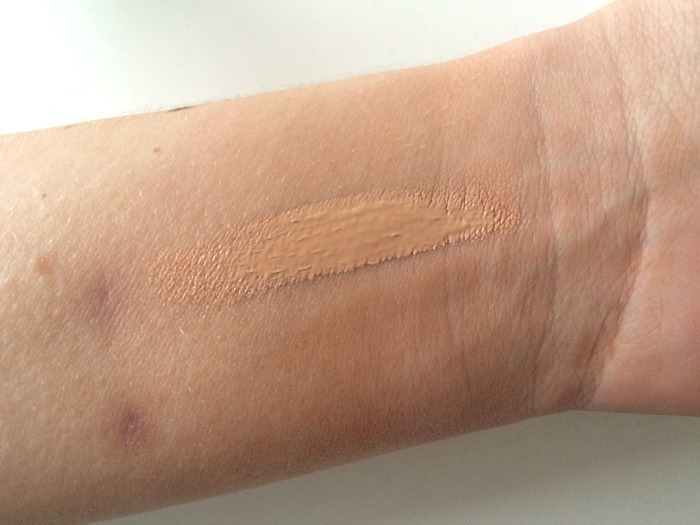 As I mentioned, it is quite mask-like in its coverage, so if you prefer a sheer formula (again, who are you?!) and like that ‘my skin but better’ finish then you would probably find this far too intense. However, for my fellow full coverage fans, I can’t recommend it enough. I swear that I paid less than £25 for this, but the Debenhams website informs me that it costs £27 if you buy it via their site. But you can get it from Escentual for £24.20 so it’s worth shopping around amongst the stockists. I probably don’t need to drive the point home any longer, but to summarise I LOVE this foundation and can’t see me switching to anything else any time soon. 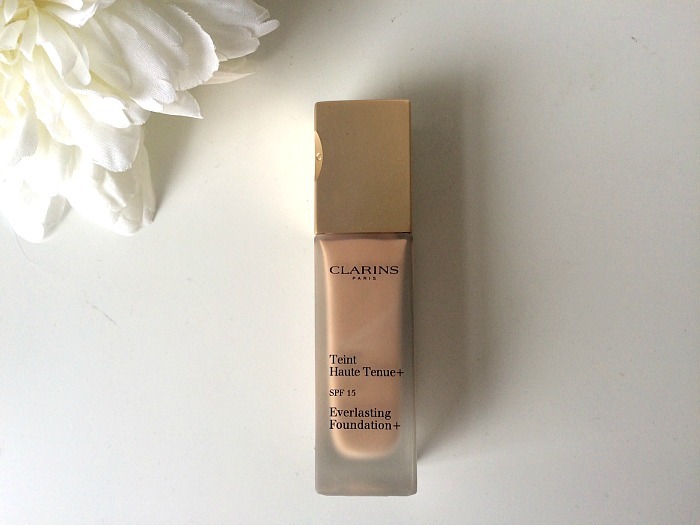 Have any of you tried Clarins Everlasting Foundation? What are your favourites? wow this looks the nuts! I’m a cosmetic hussy and will swap teams for any product. It’s gone straight to the top of my wish list. Ahh I’ll have to check this out, I love using high coverage foundations when my skin’s feeling a bit rubbish! 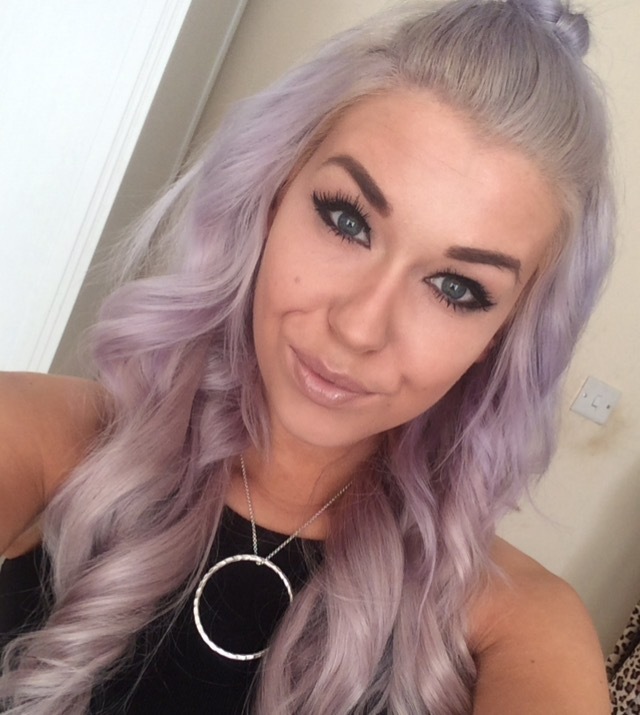 I actually love sheer foundation (sorry!) 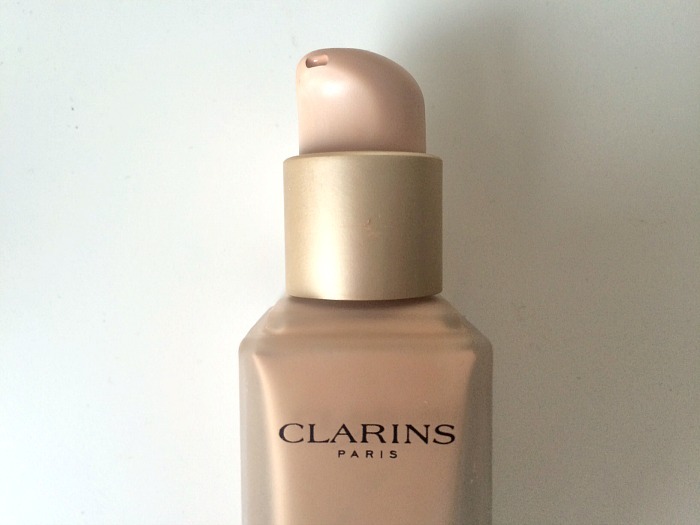 and the Clarins skin illusion foundation fits the bill. So glad you’ve found such a great fit for you! Nothing beats a high coverage foundation, I don’t do any of the natural stuff haha. But this is just stunning on, makes your skin flawless! Then I wouldn’t expect any less from Clarins! Hey! 🙂 I love your reviews!! I am on my way to try out tha Everlasting. So you use the shade wheat? And you are Desert Beige in Estee Lauder Double wear hey?